Rust stains occur when a wet metal object becomes rusty and then comes in contact with your wool fabric or carpet. These transfer stains can be a challenge to remove from fabric, but are removable with the proper supplies and techniques. Because wool is a natural fabric that absorbs liquid and has a tendency to shrink, it should be washed using the driest cleaning method possible to remove rust stains from the surface and fibers of the wool. 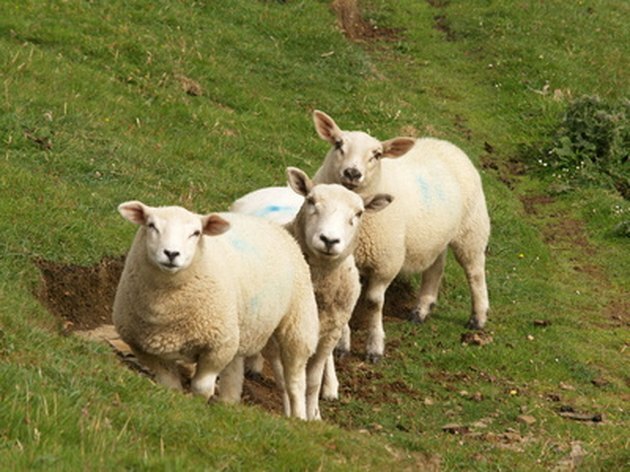 Wool is a natural fiber that comes from sheep. Clean wool by blotting so fibers aren't damaged. 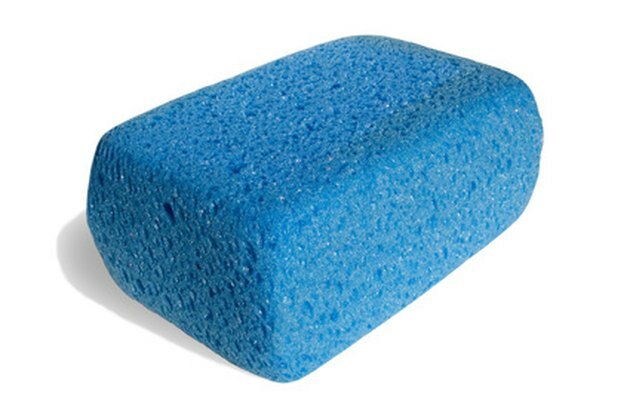 Wet a clean sponge with club soda then squeeze out the excess liquid. Blot the rust stain on your wool surface with the club soda. Club soda effectively removes many stains from non-washable textiles. Mix 1 tbsp. lemon juice and 2 tsp. table salt in a bowl. Apply the rust-removing paste with a clean cloth to the site of the rust stain on your wool. If possible, set the wool in the sun to help the lemon paste bleach out the rust stain. 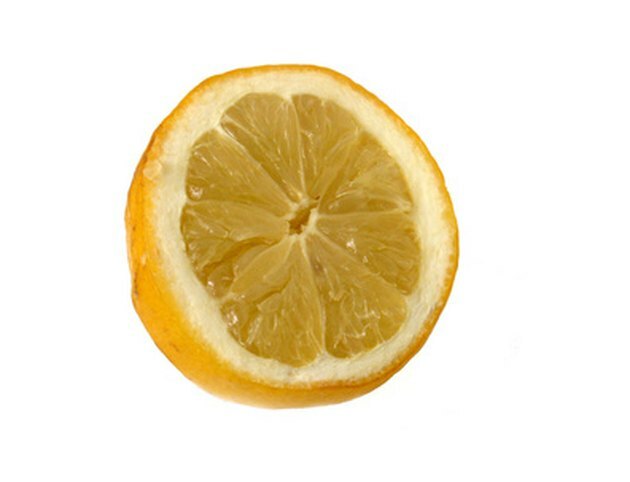 Mixed with salt, lemon juice naturally removes rust stains from textiles. Allow the lemon juice and salt paste to dry on the wool item. Vacuum the dried paste off. Combine 1/3 cup white vinegar, 2 tbsp. dish washing detergent and 2/3 cup water in a bowl. Mix to make soap suds. Dip a clean cloth in the soap suds only and sponge the remaining rust stains with the suds. Rinse your wool by blotting it with a slightly damp cloth. Open windows to aid drying or set the item outside to dry.